Thanks Carbon added - now any chance of some wider photos of the Pimento interior. 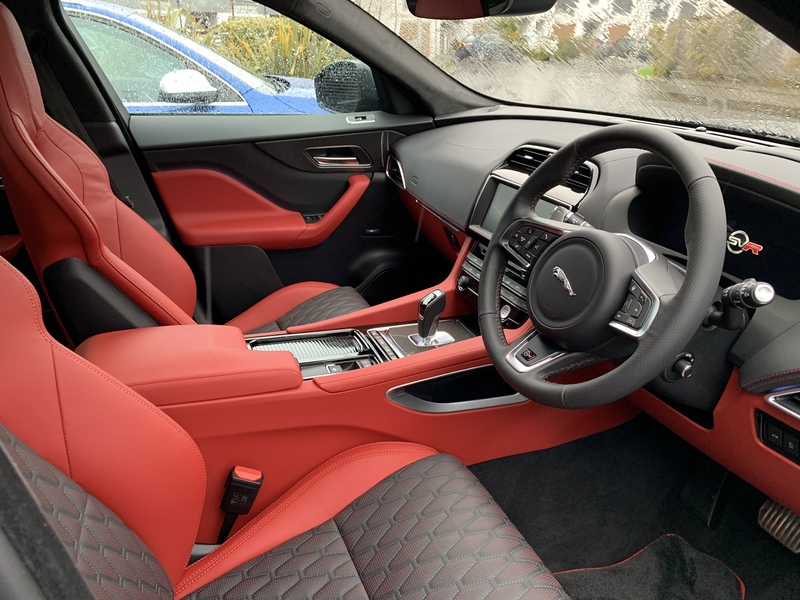 On the Jag website it's a nice deep/dark red colour but on other sites and your photos above it's a bright red colour and quite different. Now I appreciate that car interior photography is an art but would like a better idea of the colour before ordering. The local dealer had not seen the Pimento in the flesh! If you go back to page 43 of this thread, you’ll see some interior photos that the dealer took for me when it was just off the transporter. Looks darker in those than in the ones I posted tonight. I’ll see if I can get some tomorrow in daylight for you... but probably won’t get them uploaded until about 8pm. That would be great thanks - final decision is interior colour. 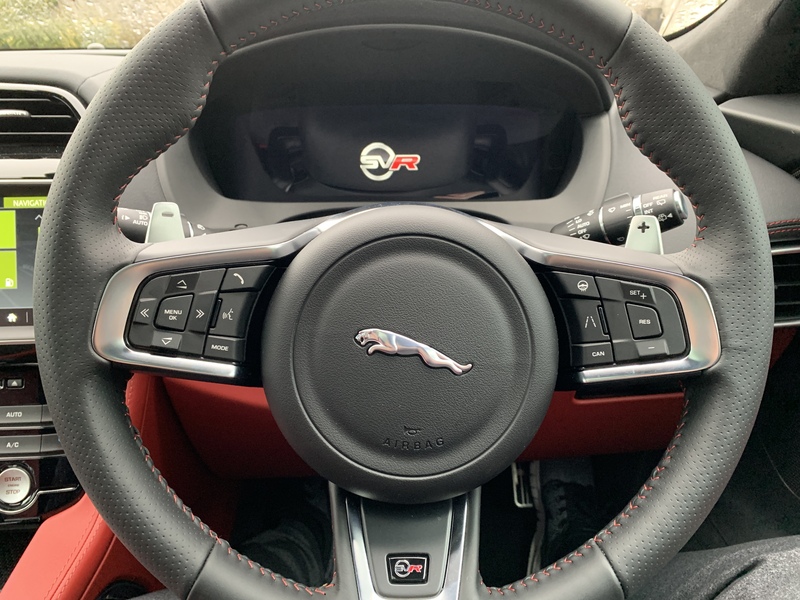 On the Jag website the Pimento looks great - I already have a Merc SL with red interior which is awesome but don't want a bright red interior - would tone down and live with the black. I probably need to drive around a few local dealerships this week and find some other cars with the similar interior. I have a couple of photos on my phone. 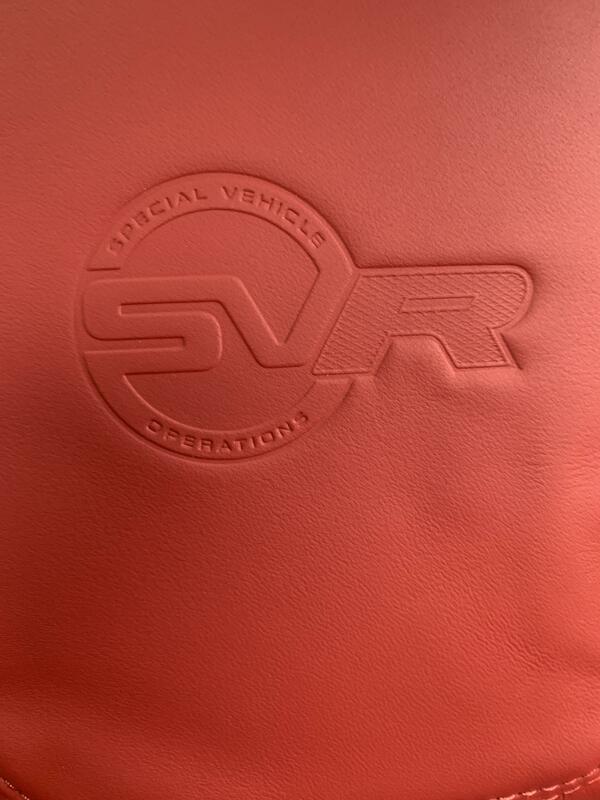 I have an SVR on order but none of the dealers have one I can look at or even go for a drive in. Does anyone in London have one they would be happy for me to come and see/take me for a short spin? 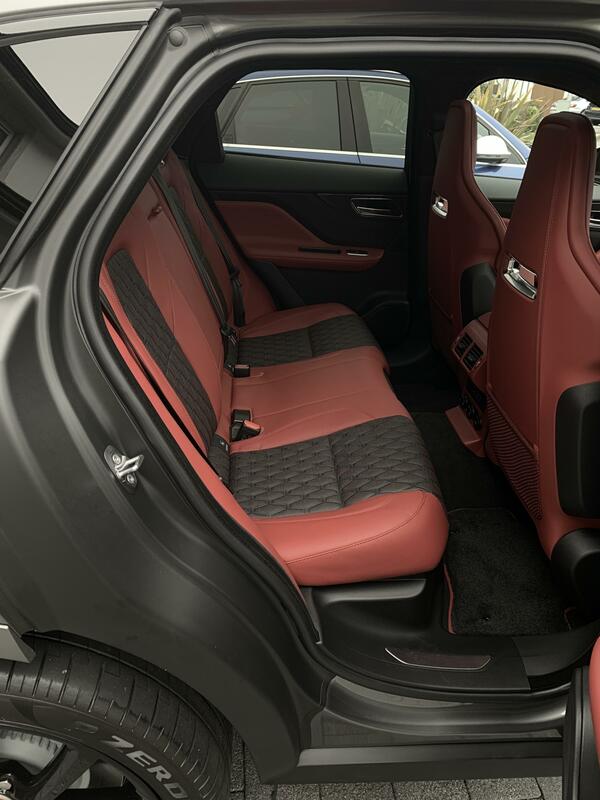 p3eps - I can tell you that the standard sports seats I have in my F-Pace heat up quickly (no more than a minute I'd say) and warm the whole seat. Your experience suggests a defective seat to me! Thanks... that’s what I expected. Almost instant heat, like the steering wheel. Maybe SVRunner is right, and they’re air heated / cooled? I tried them this morning, and I couldn’t feel any blowing on hot like I do when I have them on cold. Car is at the dealer in 2 weeks time to get some niggles fixed - so I’ll add that to my list for investigation!